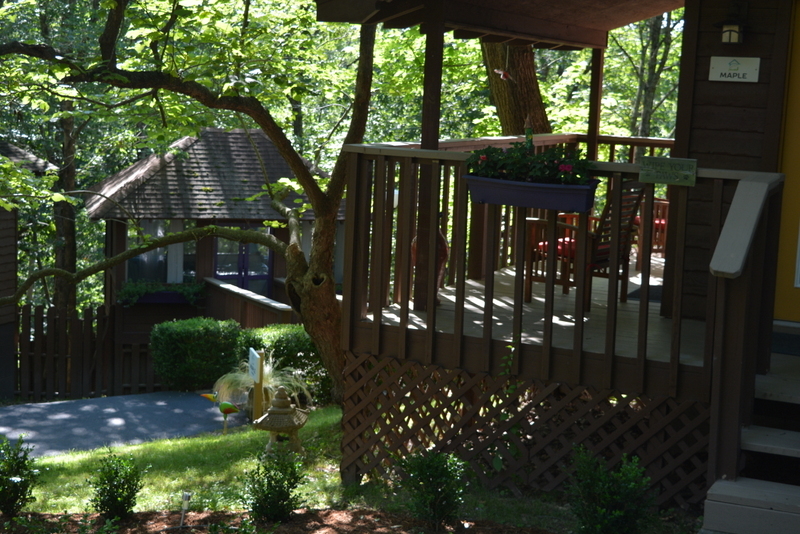 The Woods showcase cabins nestled on a mountain top with cobble stone walkways and a 15ft waterfall. It’s just a 5-minute walk down a beautiful tree lined path to the historic Eureka Springs village below. 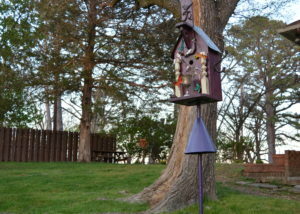 We are private and secluded but still close enough to the center of town. 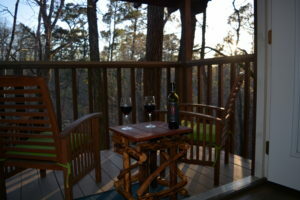 Our property hosts one and two bedroom cabins, waterfall twin cabins and a Hot Tub in the Ozarks! We are your own private getaway and are surrounded by nature. 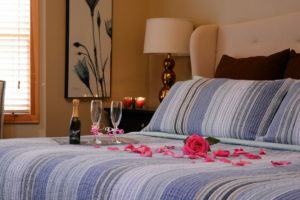 We love for couples to get away and reconnect with each other, enjoy private moments and make lasting memories. Downtown Eureka Springs is very close for you to enjoy all the unique shops and art galleries including many mouthwatering restaurants ready to tempt your taste buds! Walking all over downtown, you will find that no sidewalk is the same and no store front looks like the other. 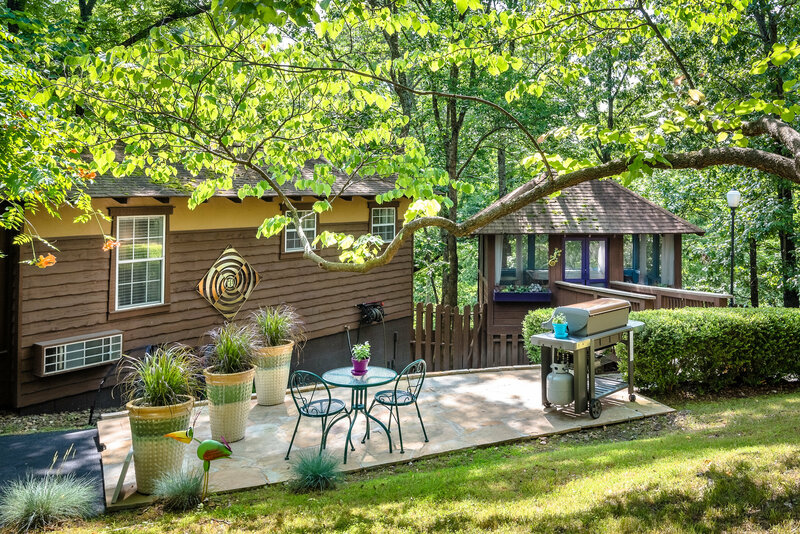 Inside a fully screened cabin, the “Hot Tub in the Ozarks” is located in the middle of our property. The hot tub comfortably seats 4 with additional seating around the tub nestled in the side of a mountain, with all sides looking out at the trees. We stock the screened cabin with large, fluffy towels to use after a relaxing soak in the hot tub, or use one of the plush bathrobes from your cabin. 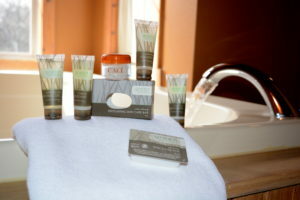 We hope that your visit with us at The Woods is serene and restful as you get away from the day-to-day. 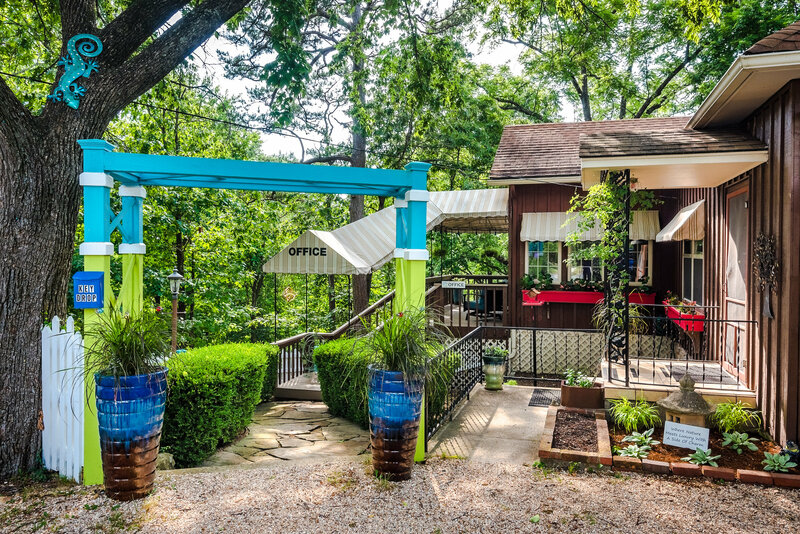 We are here to lift your spirits and ensure you have a wonderful, peaceful vacation while making lasting memories of your time here in Eureka Springs! Get out your phones and take fun Facebook check-ins, Snapchat videos and Instagram photos. In a year, that can be something to look back on and remember the fun times and think about visiting us again!